Europe maybe tiny but with its diverse cultural heritage, fascinating history and spectacular scenery it has been a favourite for travellers since time immemorial. See the best that Europe has to offer on your trip to delightful cities of Italy with Akbar Holidays. Welcome to Rome! On arrival at the airport you will be transferred to your hotel. 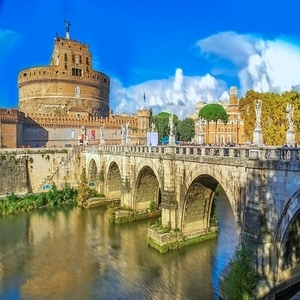 In the morning you will leave for a tour of the city which will be a great introduction to “The Eternal city”. Today you will leave Rome heading north to Florence on a route graced with beautiful landscapes. Enjoy scenic mountain landscapes while crossing the Apennine Mountains on your way to Venice. Enjoy breakfast at the hotel, marking the end of our services, and leave for the airport for your flight back home. City tour in : Rome, Florence, Venice. Evening Transfer: Trastevere in Rome, Via Cavour in Rome. Welcome to Rome! On arrival at the airport you will be transferred to your hotel. Our guide will greet you at the hotel and will provide all the necessary information about your tour. In the evening you will be taken to the Trastevere area. 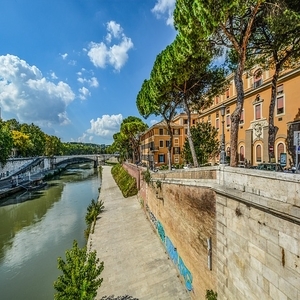 This neighbourhood will be a great introduction to Rome with a stroll through the narrow cobbled streets of the Trastevere district revealing hidden treasures such as some modest medieval churches, small shops with the most peculiar of objects or scenes of daily life. Many trattorias (informal Italian eating establishments) and osterias (inns) imbued with the Italian spirit will be ready to authentic local dishes. Other restaurants serving Indian, Chinese and international food can also be found in this area. In the morning you will leave for a tour of the city which will be a great introduction to “The Eternal city”. 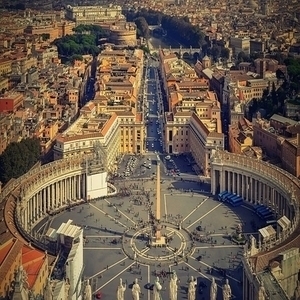 Your tour includes a visit to Vatican City, a principal centre of Christianity in the world, where you will be able to visit St. Peter’s Basilica. We have also included admission to the Roman Coliseum, the principal symbol of Rome. This impressive construction dates back 2,000 years and will transport you back in time to the Roman Empire. In the evening we provide transport to the Via Cavour area, were you will find restaurants serving Italian, Indian, Chinese and international food. Today you will leave Rome heading north to Florence on a route graced with beautiful landscapes. Upon arrival in Florence, you will head straight to neoclassical Piazzale Michelangelo, an impressive plaza in the heart of the city. 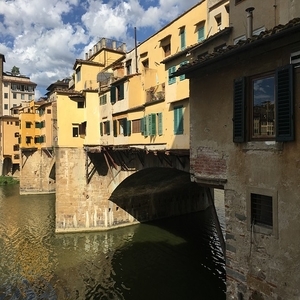 In the evening, we provide a walking tour with a local expert that will take you through the historic centre, through places such as the Ponte Vecchio; a medieval stone arched bridge, the Duomo, one of the most visited places in the world, and the stunning Piazza della Signoria. This city is truly an outdoor museum. In the evening, you can dine at one of many Florentine restaurants serving Italian, Indian, Chinese and international food. Enjoy scenic mountain landscapes while crossing the Apennine Mountains on your way to Venice. 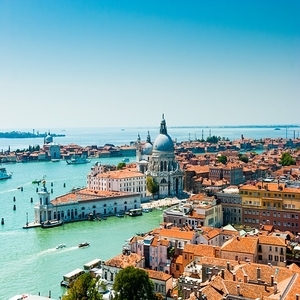 On arrival you will board a vapporetto to travel around on the canals in the historic centre. With a local guide, visit Saint Mark´s Square, one of Italy’s most recognizable sights, and enter the magnificent Basilica (entry cost included). Later in the day, you will be able to visit the Murano glass factory city and witness the uniquely Venetian crystal blowing technique. At the end of the afternoon, you will have the opportunity to dine in the charming Mestre area at a restaurant of your choice.